Holstein Association USA is pleased to award thirteen U.S. Registered Holstein® breeders as 2017 Herd of Excellence recipients. The Herd of Excellence designation was introduced in 2008 to honor dairymen who have bred and managed Holstein cattle that consistently perform at the highest levels. New for 2017, there are three herd size divisions. Divisions are based on the number of cows included in production averages for each herd. The categories are as follows: 10-99 cows, 100-499 cows, and 500+ cows. “It is important to be sure that we recognize a diverse set of herd sizes through our Holstein Association USA recognition programs. We are excited to be able to bring attention to Registered Holstein breeders who are achieving truly exceptional performance with their herds under a variety of management styles, and feel that the new award structure meets that objective,” said Lindsey Worden, Executive Director of Holstein Genetic Services. • The Adams Family, Sugar Creek Dairy, Elkhorn, Wis.
• Paul, Theo and Donald Ossmann, Emerald Acres Holsteins, De Pere, Wis.
• The Siemers Family, Siemers Holstein Farms Inc., Newton, Wis.
• The Zwald Family, Bomaz Inc., Hammond, Wis.
• The Breunig Family, Mystic Valley Dairy LLC, Sauk City, Wis.
• The Koester Family, Koester Dairy Inc, Dakota, Ill.
• Daniel J. & Nancy Pagenkopf, Paradise-D Holsteins, Lancaster, Wis.
• Robert J. Behnke, Bur-Wall Holsteins, Brooklyn, Wis.
• Joseph A. Brantmeier, Hilrose Holsteins, Sherwood, Wis.
• S. Scott & April D. Cooper, Appealing Holsteins, Delta, Pa.
• Jeffrey A. & Kate Hendrickson, Jeffrey-Way Holsteins, Belleville, Wis.
• Thomas J. Kestell, Ever-Green-View Holsteins LLC, Waldo, Wis.
• Bruce and Brenda Long, B-Long Holsteins, New London, Wis.
Read more about these remarkable herds in the Spring 2017 issue of the Holstein Pulse. 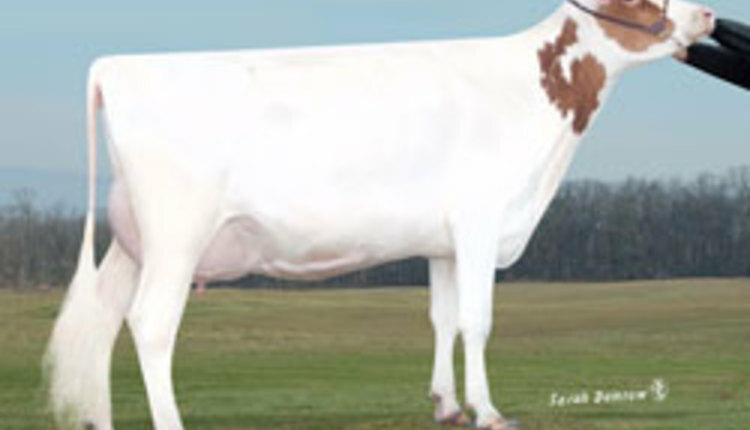 Select pages of the Pulse are available online at www.holsteinusa.com under Latest News, then click on the Holstein Pulse.